Last night we found ourselves at the ground of Norwich City FC, newly promoted to the Premier League. We began our set with the pitch clearly visible behind us. But by the time muggins here remembered his camera the sun had gone down. 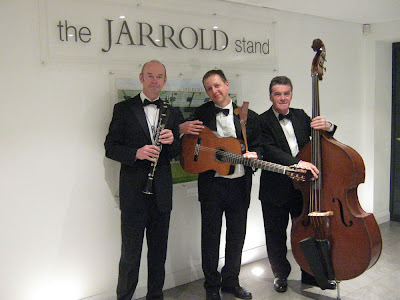 So here we are instead, posing at the third floor entrance to the Jarrold stand at the end of the night. The light isn't reflected glory, it's our own. 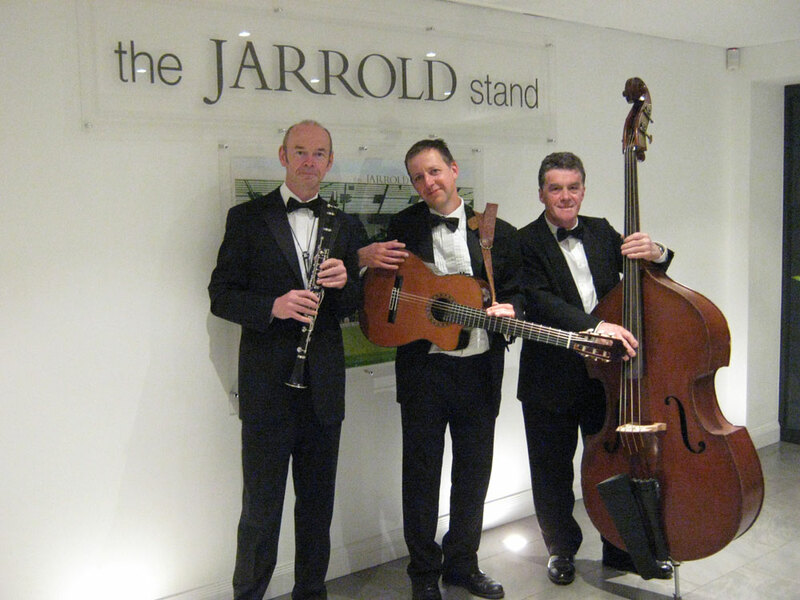 One shouldn't blow one's own trumpet, especially if one doesn't even play trumpet, but we really were rather good. And the occasion? A rather grand looking meal for folk engaged in pharmaceutical research at the University of East Anglia. Of course a function of this nature requires live jazz. As a child, almost before I knew what a musical instrument was, I fancied playing in a bandstand. I hadn't realised how cold my hands would get as the sun sank below the treeline. However, it was warm enough two weekends ago (I've had trouble keeping up with the pace of events!) 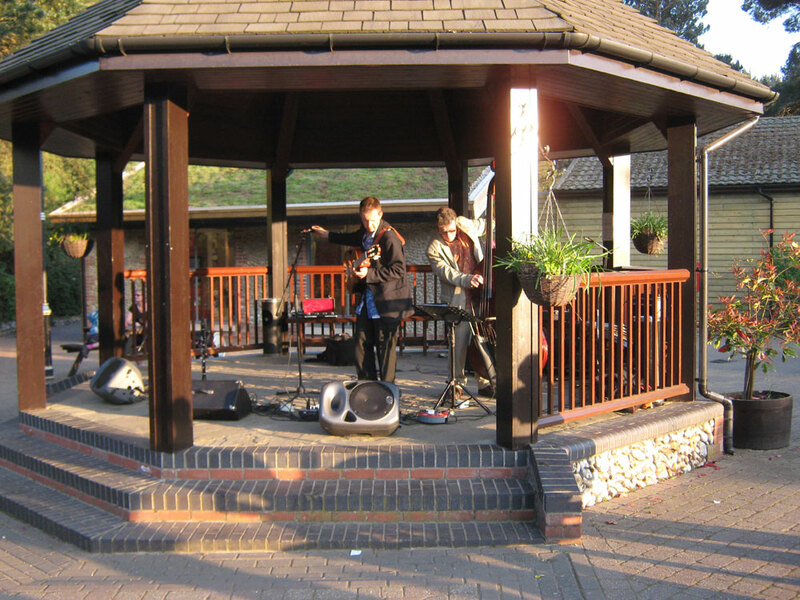 to mark our first gig at Kelling Heath Holiday Park by playing in its bandstand. Surprisingly for April it remained warm all evening and the fingerless gloves were not required. Here's hoping it's as balmy when we return in a fortnight. Here Andy and Paul are tuning up, just in case you're wondering.